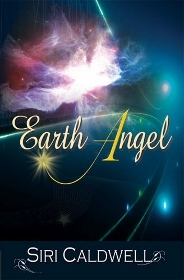 Earth Angel is Book 2 in my Angels Series. It stars recurring character Gwynne Abernathy and someone new—the intriguing Abby Vogel. Gwynne’s determined to figure her out. She has no idea what she’s in for! The books can be read in any order. You won’t be lost if you start with Book 2. Promise! People say Abby Vogel sounds like an angel when she plays her harp at weddings in beautiful Piper Beach. They don’t need to know that real angels—or possibly figments of her imagination—keep her company. They wouldn’t understand. Gwynne Abernathy blames herself for the deaths of her sister and mother. Her psychic gifts have brought her only grief, and she’s turned her back on anything that isn’t “normal”. Abby’s kindness and quirkiness are irresistible, but there must be a reason Abby is swarmed by angels, and she suspects that when she discovers it she’ll want to stay far, far away. Abby knows immediately that there is more to Gwynne than meets the eye. When she realizes she’s not the only one who see angels—that Gwynne sees them, too—she finally trusts that her glowing friends are not hallucinations. What’s more, the angels desperately need something from her. If she answers their call, it means giving up the magic she feels with Gwynne. With a joyful laugh, the angel plummeted through the vast, singing void of space. She hurtled toward earth, her trajectory guided by a structure built eons ago using the technology of an extinct, alien race. Starlight blazed and vanished; galaxies spun. Out of the corner of her eye, something caught her attention. Something subtly off. She slowed to a stop and reversed course, scanning for the source of wrongness. A fissure. Its edges shimmered with mathematical probabilities. Frayed threads on the verge of snapping sang dangerously off-key. The angel shrank back. She’d seen this before. And she’d hoped to never see it again. Gwynne Abernathy had never seen so many angels in one room. She sat at the end of the hospital bed massaging her mother’s feet, willing her to wake from her coma. Gwynne’s father sat nearby, holding her mother’s hand, acting like it hadn’t been years since their divorce. Maybe he’d come for Heather, her little sister. But Heather was already dead. Her mother still had a chance, although her life force was so dim it was hard to believe anything could help her. Hard to believe, but not impossible. Not for Gwynne. She was good at this. With nothing more than a silent intention and occasionally an angel’s help, she could manipulate energy currents and channel healing life energy into someone to stop a panic attack, lower high blood pressure, speed the healing of broken bones, ease the pain of cancer. She could bring her back. And, with or without her, so could the angels who floated around the room and crammed themselves into every available square inch of space as more and more angels continued to arrive. But not a single one laid her weightless, insubstantial hands on her mother to gift her with angelic healing light. “Why won’t you help?” she whispered, her voice strangled from the effort to keep quiet. Generally she tried not to speak to angels in public, but right now she didn’t care. She was doing her best, dredging her memory for every technique she’d ever learned and even those she’d forgotten, but her best was nothing compared to what an angel could do. What were they waiting for? If anyone deserved a miracle, it was her mother, and she was not going to give up until she got her one. “She’s not dead yet,” Gwynne said. He didn’t have to talk about her like she was already gone. He kissed his ex-wife’s forehead with the same defeated gentleness he always had around her since the divorce, then lumbered out, forgetting to close the door behind him. Gwynne dropped her head in her hands. It wasn’t his fault. It wasn’t the angels’ fault, either. It was her fault. It was all her fault.